Summary: What is CMS doing to reduce healthcare costs? CMS has added observation units which are an additional level of care between inpatient and outpatient. In general, observation units are used to bridge the gap between inpatient and outpatient. They are designed for the patient in which the attending physician cannot determine whether a patient should be classified as outpatient (released within 48 hours) or inpatient (expected to stay at least 2 midnights). The observation units enable the physician to have a bit more time to stabilize the patient and based on medical necessity determine the estimated length of stay. They are billed as outpatient and do not count toward an inpatient admission. Observation units can cost patients more out of pocket as observation units are billed as outpatient. Patients have to pay copayments for doctors’ fees and each service is billed separately. Additionally, routine drugs are much more expensive in the outpatient setting, especially those for chronic conditions. On the flip side, patient satisfaction tends to go up as a result of being moved to a separate unit and out of the traffic and confusion associated with the emergency room. These patients can generally begin receiving treatment a bit quicker as well. Medicare is cracking down on the proper classification – inpatient, outpatient, and the fairly new concept, observation units. Patients who, based upon medical necessity criteria, are estimated to stay at least 2 midnights (the 2-Midnight Rule), should be admitted as an inpatient. Patients who based upon medical necessity criteria are estimated to stay up to 24 hours should be classified as outpatient and treated and released from the Emergency Room. The gray area arises when a physician is unable to determine with probable certainty how long the patient will need to remain under care. These patients should be deemed observation. The physician has a bit of additional time to ensure the patient is stabilized and better determine whether the stay will extend to 2 or more midnights. Making the wrong call on classification can be very costly. Traditionally, Medicare has refused to pay anything for inpatient admissions that should have been classified as observation. There has been much controversy over this issue. Consequently, at present, hospitals who have been denied reimbursement for patients who should have remained as observation are able to resubmit their claims for payment; the timeframe to resubmit is 1 year. The American Hospital Association disagrees with this ruling, stating that the timeframe is too short. As such, a lawsuit has been filed to put an end to the policy. In order to qualify for follow-up care in a nursing home, patients must have spent at least 3 consecutive days as inpatient, excluding day of discharge. As stated above, observation units are outpatient and thus do not go toward the 3 consecutive days nursing home qualification. Hospitals tend to receive higher reimbursement for inpatient, hence a monetary incentive. This was one of the reasons observation units were put in place, to curtail healthcare spending. On the plus side for hospitals, patients who are discharged from observation units cannot be qualified as readmissions, should they require inpatient admission within 30 days. This was a second reason for observation units, to reduce the amount of hospital readmissions. A third reason for these units is to reduce the overcrowding epidemic of emergency rooms. It moves patients out of the general high traffic, chaotic atmosphere into a bit more of a controlled environment. Observation units are on the rise. Surveys indicate that nearly 33% of all hospitals now have observation units. Hospital admissions are decreasing slightly. It is too early to tell the effect on hospital readmissions. Shorter hospital length of stays can result in lower healthcare costs. According to another survey, patients who received observation in a “dedicated unit” with specific protocols had a total length of stay which was more than 20% lower than patients who were observed in other parts of the hospital. Observation Units – Required Notification? Currently, there is no requirement to let patients know they are in observation units and thus have the costs associated with outpatient treatment. Most observation units are located as a carve-out section of the emergency room, making it easier for the patient to infer that their treatment is being administered on an outpatient basis. However, some observation units are located actually as part of inpatient units. From the patient perspective, they are physically located on an inpatient floor next to those that have been admitted to inpatient units, yet billed via outpatient protocols. Hopefully, CMS will readdress the issue of requiring patients be notified when they are in observation status and exactly how items/services will be billed. 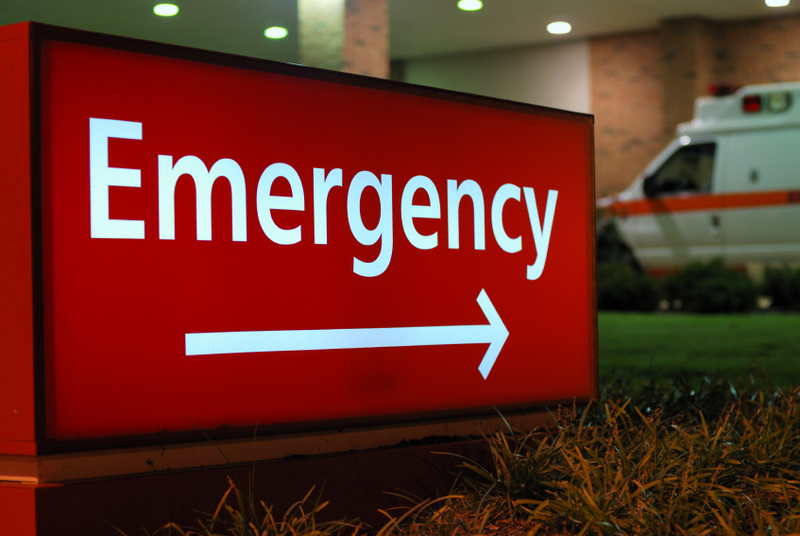 From a hospital perspective, observation units located outside of the emergency room help reduce emergency room crowding, an epidemic spanning the country.